1. Hobart – This is the capital city of Tasmania. It has a beautiful blend of heritage, scenery and culture. You may know it from the famous annual Sydney to Hobart yacht race. There are plenty of festivals and markets throughout the year. The city is full of gorgeous views and delicious food. It is also one of the main ways to enter Tasmania. You can fly here or take a boat: The Spirit of Tasmania. 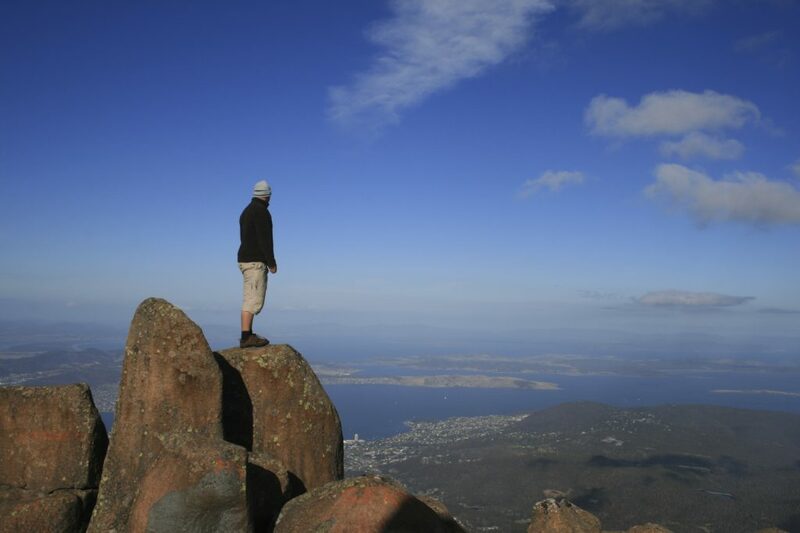 A great way to experience Hobart’s history and sights of significance is by taking the Half Day Hobart City Tour. Another great way to experience the architectural and cultural beauty of Hobart is by taking the Red Decker Hop On Hop Off bus tour. You’ll receive a 90-minute summary of the best that Hobart has to offer. 2. Ancient protected forests and national parks- Tasmania's forests are some of the best in the world and very diverse. You will find World Heritage rainforests and some of the oldest, tallest giant trees. These areas are great for hiking and outdoor adventures. With your iVenture Card, you can kayak in Freycinet National Park, enjoy a cruise down the Gordon River, explore the top of forests on the Tahune Airwalk and enjoy cable gliding. Make your way to the summit of Mt. Wellington, the gorgeous backdrop for the city of Hobart. 3. History - Tasmania has a rich history. Perhaps one of its most significant historic sites is Port Arthur. This was the site that was chosen by Governor Arthur as the site for a penal colony to house Britain’s worst convicts. It’s hard to imagine the harsh conditions of the 1800s when there is breathtaking scenery surrounding the peninsula. There are numerous things to do here. There are a few other museums and historic sites that you can visit with your iVenture Card. 4. Wildlife - The forests are also home to unique and protected wildlife, such as the famous and endangered Tasmanian Devils. You can experience the fairy penguins up close in their natural environment as they scramble up the beach to their dwelling in the coastal scrub. You can also visit the world’s first seahorse farm and see a platypus and echinadas at the Platypus Farm! 5. Food and Wine – There are many great food and wine festivals throughout the year in Tasmania. Enjoy fine cheeses, delicious wine and other delicious produce and cuisines. Taste of Tasmania is one of the most popular festivals as it coincides with the Sydney to Hobart Yacht Race. Enjoy fish and chips on the Hobart Harbour. Visit some wineries on your country drive. As a foodie, you won't be disappointed in Tasmania.